Can we imagine a better, sustainable future? In the last night of our current “Nature Talks” series, we ask local thought leaders who are exploring new pathways through their work and lifestyles. What are their objectives, ethos, opportunities and challenges? And what can we do to get involved and apply lessons learned to our own lives? These talks are free with 50 places on a first come basis. 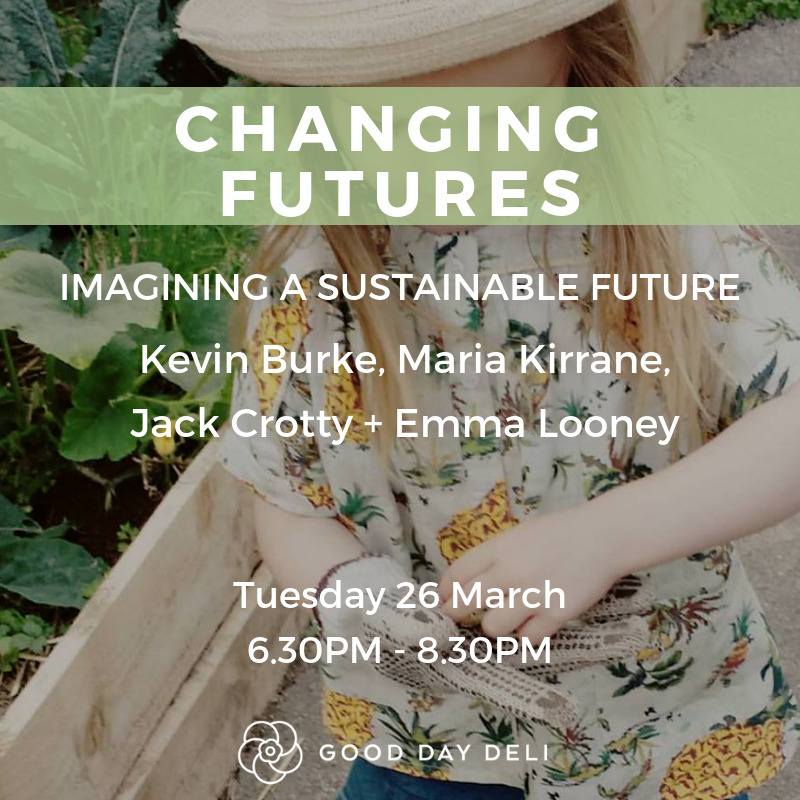 The talks will be held in Good Day Deli Garden Cafe, Cork City. Please access by coming to the Evergreen Street entrance of Nano Nagle Place from 6.30pm where you will be guided to the cafe. Coffee + cake will be available for purchase between 6.30pm and 7pm before the talks begin. Parking is available in and around Evergreen Street - there is no on site parking available for these talks. Sustainable food systems meet current demand for food with production methods and supply chains which are carefully managed in order to also meet the demand and values of future generations. The aim of sustainable food is to provide for the wellbeing of all, with respect for livelihoods, health, the economy, the environment and animal welfare. 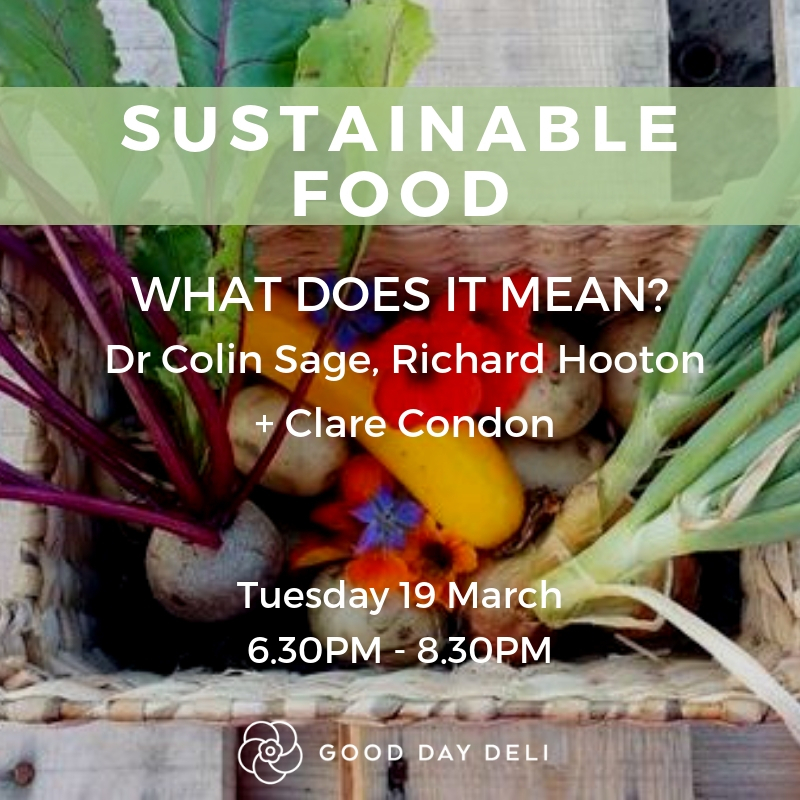 Join this discussion on what Sustainable Food means in the Irish context and how to incorporate the ethos of sustainability into everyday decisions. On February 11th a group from Good Day Deli took a trip to the West Cork Coffee Roastery. We are so enthusiastic about the coffee that we use here in the café that we were eager to get a first-hand view of the roasting process. 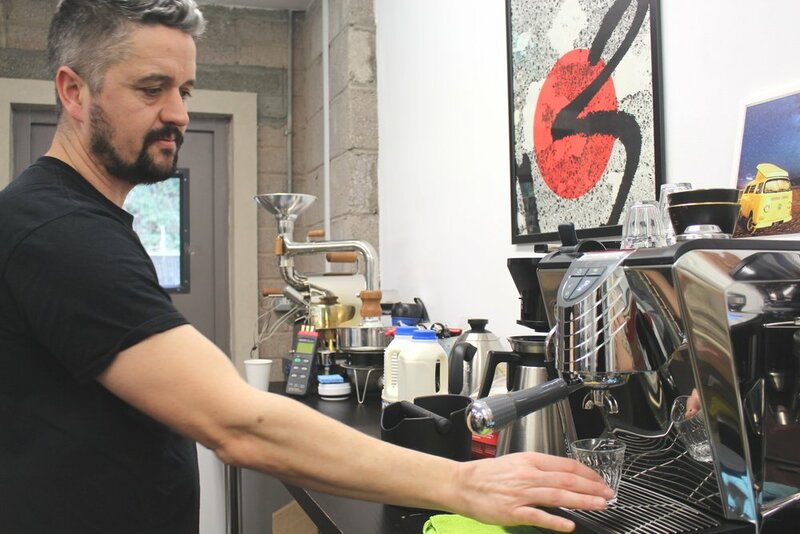 Nestled away in the small town of Inishannon, Tony Speight has an array of coffee gadgets from espresso machines to refractometers, grinders to souped-up sample roasters and everything in-between. We were all handed some freshly brewed Kenyan when we arrived and he began telling us all about what he does in West Cork Coffee. Tony sources his coffee from a small number of suppliers. He tests, sample roasts and cups each coffee in the roastery before choosing which are of the best quality to use going forward. While he sample roasts using the tidy Ikawa or his mechanically altered Huky 500, the real stuff is done on the crowning glory of the roastery – the sleek, black and gold Giesen roaster. Tony showed and talked us through the entire roasting process here using the organic Brazillian yellow obatã that we are currently using in the café. We could see the various phases the beans go through in the roasting process which are controlled by alterations in air, heat and RPM. We also experienced both seeing and smelling the change in the beans at each of these stages and can undoubtedly say that we were all very excited when the beans began popping (yes, like popcorn) at the first crack! It was a fascinating process to see. Next, Tony showed us one of his newer toys - a very shiny R28 Rocket espresso machine. We tasted a couple of espressos and were even treated to some home-made cookies which Tony's wife had kindly made for us. Needless to say, we were delighted! Here, amongst the hessian sacks full of coffee from countless countries all over the world, we chatted and discussed all things coffee. Tony effortlessly answered any questions we had and his expertise in roasting coffee and the coffee trade is second-to-none. Brought up just around the corner from Good Day Deli on Evergreen St., he's a true Cork man who takes his kids to Turner's Cross at the weekends, all the while paving the way forward for speciality coffee in Cork. And what would a visit to West Cork Coffee be without a cupping? We all had a go at trying some of Tony's most beautiful coffees. As the dulcet tones of some light jazz floated around the room, we tasted Brazil, Ethiopia, Kenya, Columbia, Rwanda and Honduras, and used our senses to observe the notes and really soak up each cup and it's contents. We are very proud to use West Cork Coffee in Good Day Deli. Tony works very closely with Clare, Mak, Moyses and Claire to ensure the best quality from our coffee and to source organic and sustainable produce which is very important to us. Tony has an acute awareness of sustainability and the environment. He works closely with the World Coffee Research Organisation and donates a percentage of his green bean costs to aid in their research towards matters such as coffee supply sustainability and enhancing the livelihoods of coffee producers and their families. 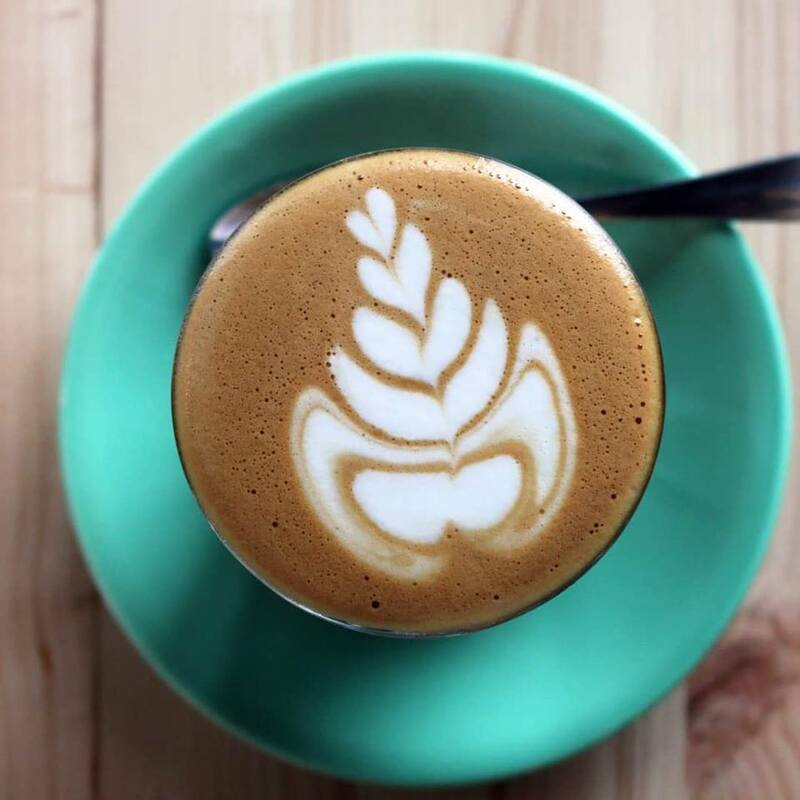 A great asset to the speciality coffee world in Cork and an expert in roasting, come and try Tony's West Cork Coffee organic Brazilian that we have on espresso at the moment. You won't be disappointed! The last two Nature Talks are rescheduled to Tues 19 March and Tues 26 March! So no talks this coming week or the week after. More info to come sooner to the dates. We have a special 3 course menu + beautiful natural wines for you to kick off the weekend and enjoy @gooddaydeli + @nanonagleplace in the evenings, especially as the days draw out later into the nights! We'll serve food from 5.30pm to 8.30pm, with last entry at 9pm and closing at 10pm sharp! Mainly walk ins w limited bookings each Friday. @nanonagleplace are launching their Friday Night Cultural Programme also this week w music by Ger Wolfe! So many plans in the works, stay tuned! A gathering of local + national environmental initatives that you can get involved with! We're super excited to learn from Dr Declan Little + Diarmuid McAfee about the value of Ireland's forests + native trees. We are blown away by the interest in our series of "Nature Talks" with Ray Foley + the line up of incredible speakers! This week Dr Allan Mee and Dr Richard O' Callaghan will tell us about eagle reintroduction and pearl mussel conservation. Ireland's wildlife is in steep decline. In recent years, the Irish Government and European Initiatives have sought to address this major issue. 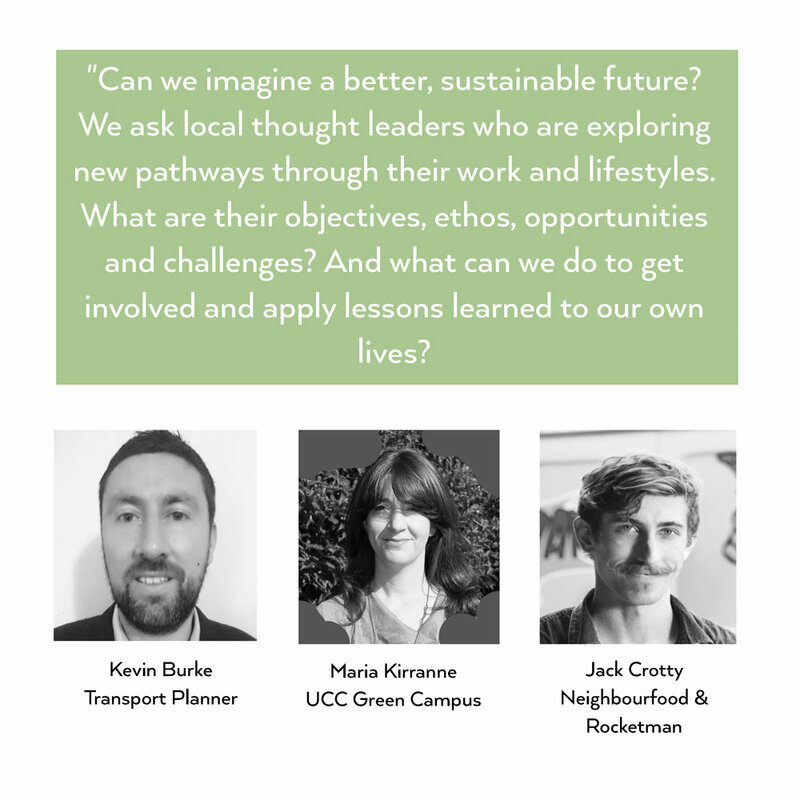 These two experts will discuss the challenges, opportunities and successes in their role in conservation at home here in Ireland.